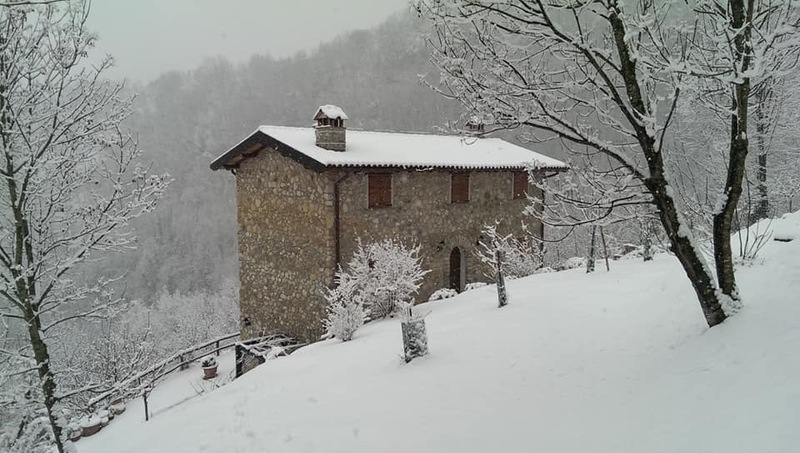 Our lovely Filippo took photos of Casa Debbio covered with snow. How I wish I was there to see it! 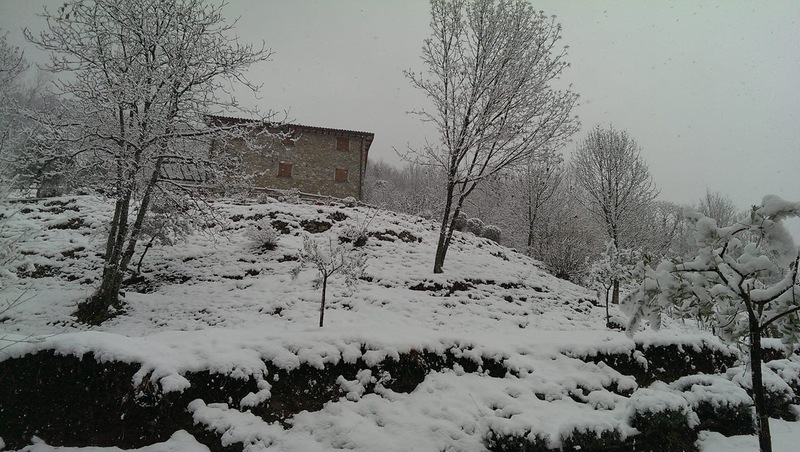 Thank you Filippo for showing us the snowfall. 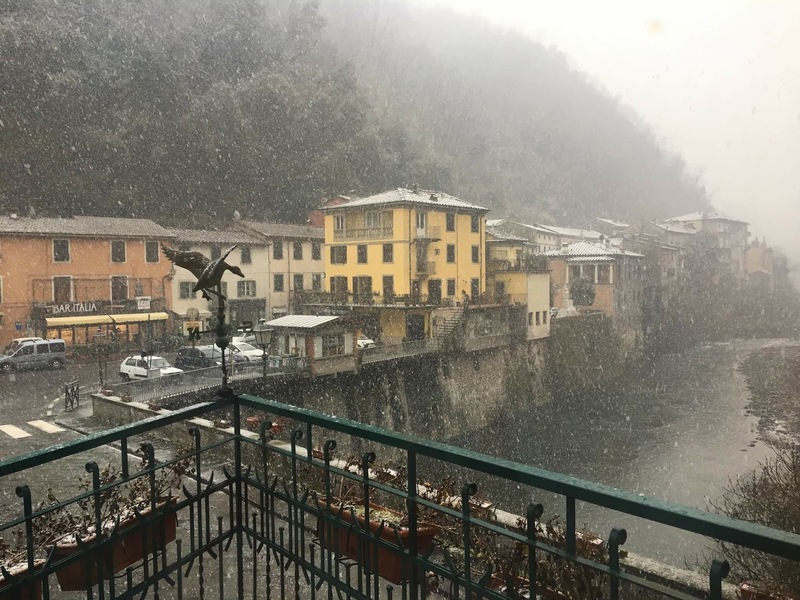 Another friend has taken a photo of the snow beginning to fall at Ponte a Serraglio where our apartment is. This is our view. I hope there is some snow next month when I get there. I love it when it snows! Beautiful! There seems to be snow over most Europe at the mo. I have heard about the cold weather. Here it is very hot! Ooh, Debbio looks a bit bleak…. I love it! I would love to be there right now. 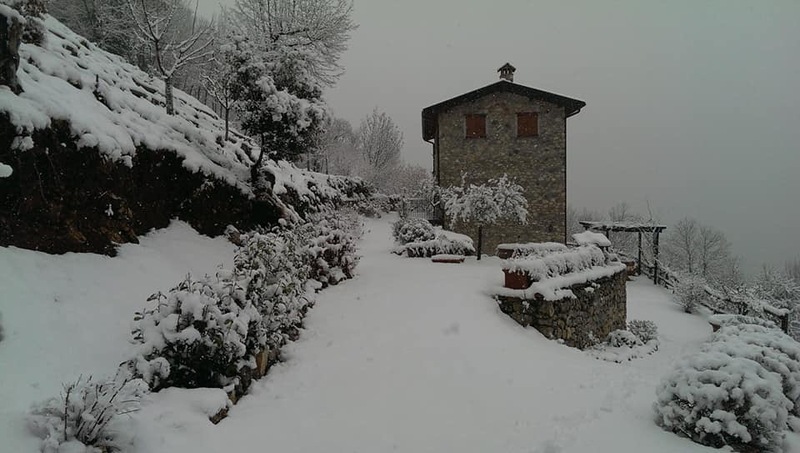 It probably won’t be snowing in Lucca when you get there. It doesn’t happen often there. It looks beautiful, although it must be fairly cold….. The snow usually melts fairly quickly. I do hope we get some next month. Beautiful! I would choose snow over the summer heat anytime. Oh Deb…. 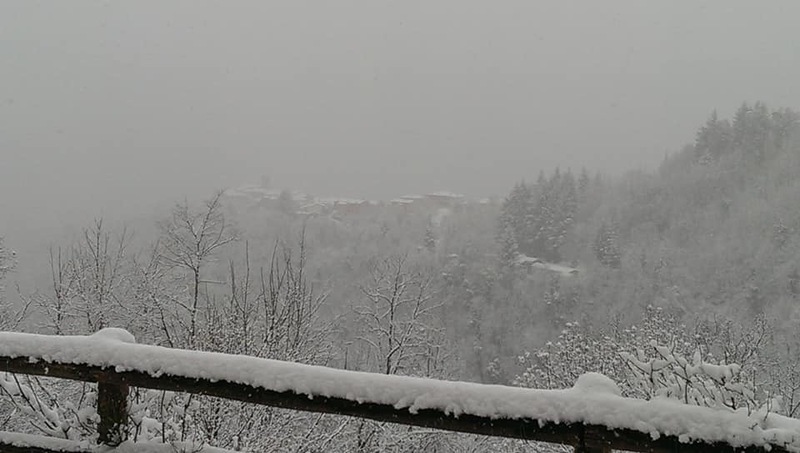 how moody it looks with the blanket of white…. how I would love that experience!!! 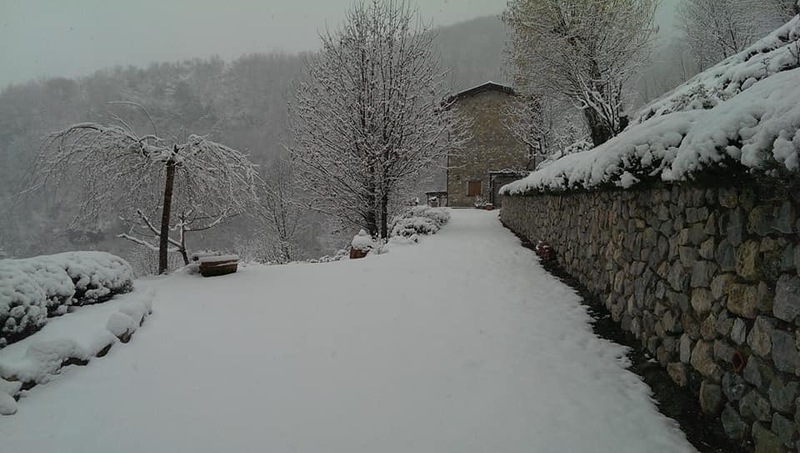 I have been at Casa Debbio with snow. I love it. 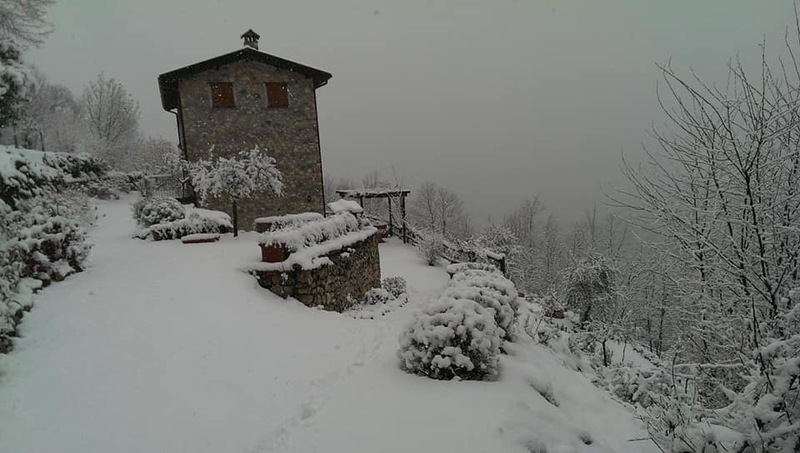 Casa Debbio looks so beautiful. Thanks to Filippo for sending the photos to you. There is heavy rain in the area now so the snow will wash away quickly. I love the look of snow, just not the practicalities of walking in it! I like it occasionally. I don’t think I could live in it for months in end. Wow I have never been to Tuscany but from what I see it is a beautiful place.